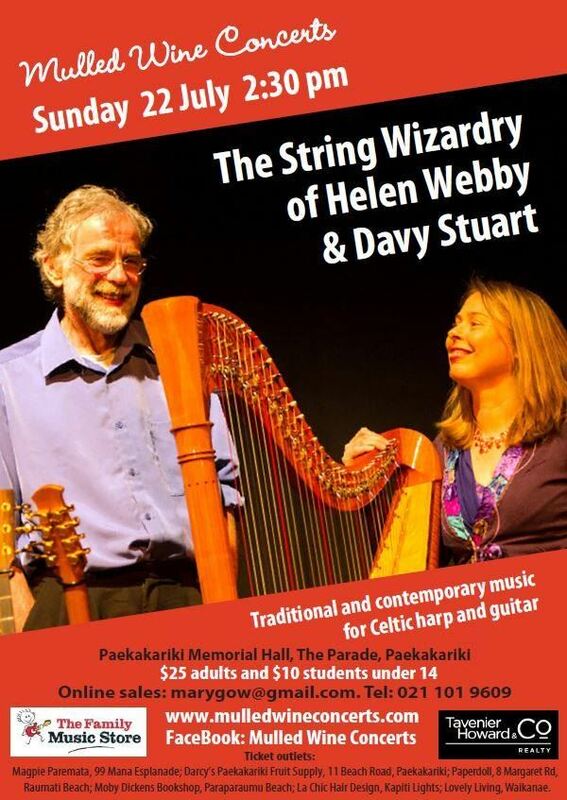 Helen Webby and Davy Stuart! On Sunday 22 July, expect to hear jigs, reels, Niel Gow's tunes, Carolan's Cup, Mhairi's Wedding, The Final Trawl and many more. Enjoy an afternoon of music and mulled wine! See http://www.mulledwineconcerts.com/index.php for details on ticketing and the programme.